This study was conducted by SembraMedia, a nonprofit organization dedicated to increasing the diversity of voices and quality content in Spanish by helping digital media entrepreneurs become more sustainable and successful. SembraMedia’s larger mission is to help digital publishers better serve their audiences by helping them create high-quality content while balancing journalistic integrity with financial sustainability. 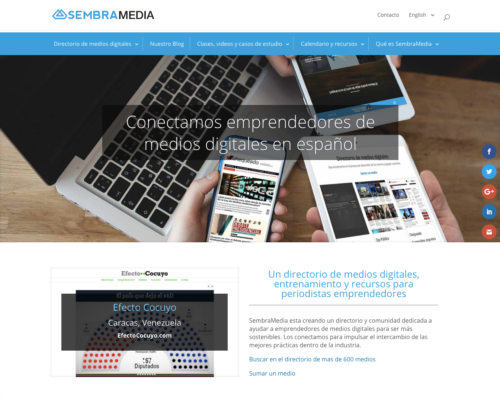 SembraMedia manages a directory of digital natives, provides training, and is fostering a growing community where journalism entrepreneurs can network, share resources, learn new skills, and draw on the expertise of others who are facing similar challenges. With a virtual team of more than 20 contractors in 16 countries, they focus on supporting digital natives in Spanish in the U.S, Latin America, and Spain — and they are always delighted when their work encourages and supports journalists elsewhere in the world. More information in SembraMedia.org, or by following the Twitter account: @sembramedia and Facebook account /sembramedia. This study was made possible thanks to the support of Omidyar Network, the philanthropic investment firm established in 2004 by eBay founder Pierre Omidyar and his wife Pam. The firm is dedicated to harnessing the power of markets to create opportunity for people to improve their lives. To do this it invests in and helps scale innovative organizations across multiple initiatives, including Education, Emerging Tech, Financial Inclusion, Governance & Citizen Engagement, and Property Rights. In April 2017, Omidyar Network expanded its decade-long commitment to independent media with the addition of $100m of funding over three years to strengthen independent media and investigative journalism, tackle misinformation and hate speech, and enable citizens to better engage with government on critical issues. To date Omidyar Network has com- mitted more than $1 billion to for-pro t companies and non- profit organizations that foster economic advancement and encourage individual participation. 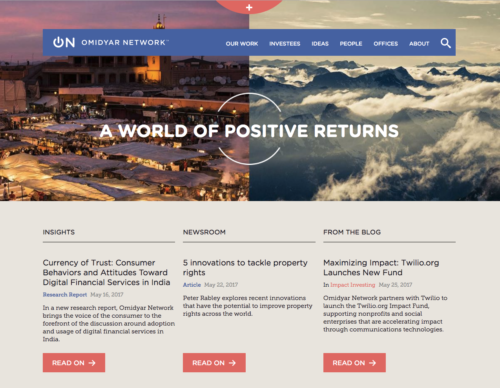 To learn more, visit omidyar.com, and follow on Twitter @omidyarnetwork #PositiveReturns. 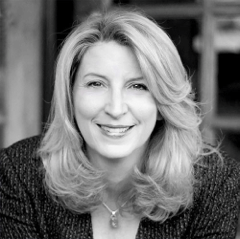 Janine is the co-founder and executive director of SembraMedia, and an ICFJ Knight Fellow. 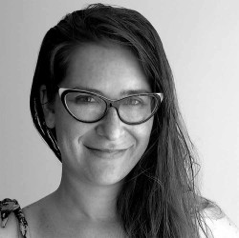 Janine has worked with thousands of entrepreneurial journalists throughout Latin America. Over the last decade, she has traveled extensively teaching workshops and seminars at media com- panies, universities, and events in nearly every country in the Spanish-speaking world. She has taught three online courses in entrepreneurial journalism for the Knight Center for Journalism in the Americas at the University of Texas, attended by nearly 9,000 online students. She has been an adjunct faculty member at the University of Miami and USC, and a guest lecturer at more than 30 universities. She has written or coauthored more than a dozen books, including Web Sites For Dummies. She has served as a judge in the Interactive Emmy Awards, the Knight News Challenge, the Arroba de Oro Internet Awards, and the WSA Mobile & Content awards. Mijal is co-founder and managing director of SembraMedia. She conducted all of the interviews in Argentina, managed the researcher team, and helped to normalize and analyze the data. In addition to managing the team at SembraMedia, she has been a teacher in the Master’s Journalism program from La Nación at the University Torcuato Di Tella. She also taught entrepreneurial journalism online for the Knight Center for Journalism in the Americas at the University of Texas. 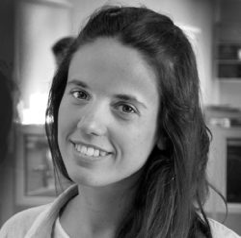 In 2010, at age 22, Mijal won first prize for her magazine’s business plan at the Desafío Joven Entrepreneurship Program, organized by Shell and ACDE. In 2013, Mijal developed the Journalistic Entrepreneurship course for The TEA School of Journalism. In 2014, the Education Ministry of Buenos Aires selected the course to be included in every journalism program in the city. Bilingual digital media consultant, specializing in journalism innovation, entrepreneurship, and multimedia. He is currently a visiting pro- fessor of communication at the University of Navarra in Pamplona, Spain. He has consulted and taught in more than a dozen countries in Europe, Asia, and the Ameri- cas. For two years he was director of the master’s program in Global Business Journalism at Tsinghua University in Beijing. He was founding director of the Center for Digital Journalism at the University of Guadalajara in Mexico. It was the second time he received a Knight International Journalism Fellowship to work in Latin America. David began his career as a journalist and has extensive experience in research, digital design, multimedia, and analytics. David has taught Digital Immersion, Online Multimedia, and Digital Publishing, at the Annenberg School for Journalism at the University of Southern California. He has also lectured at universities around the world, including at the Institute for the Digital Future of Journalism at Mohyla University in Kiev, Ukraine, and the Universidad Mayor in Chile. He has twice been selected as a Fulbright specialist to teach digital media skills to journalists, NGOs, and pro-democracy groups. In 2012, he worked in Ethiopia, and in 2017, in Myanmar. 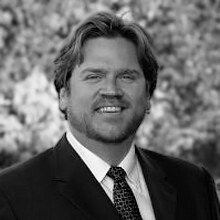 He has written case studies for the News Media Alliance (newsmediaalliance.org), the World Association of Newspapers (WAN), Innovation International Consulting Group. Adriana is an award-winning marketing and business strate- gist. A pioneer in Spanish-language digital media, she has more than 20 years of leadership experience in digital marketing in Latin America and the United States. She is the founder of Advernativa, a digital advertising revenue consultancy based in Los Angeles, that helps content startups and publishers to accelerate the growth of their advertising revenue. While in executive leadership positions at Televisa, Cnet, Havas Media, and Entravision she opened up pro table new digital media revenue streams, and created innovative integrated branding campaigns for top global brands. Adriana has a long history in the Digital Advertising Industry in Latin America, as a founding member of the Mexican Internet Association, she served as Vice President of Market Research for more than 4 years. Mexican journalist dedicated to creating innovative digital projects and audience development. Currently, she is the Newsroom Coordinator at the non-profit organization Mexicanos Contra la Corrupción. 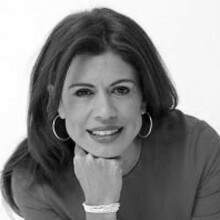 She was a member of the founding team of The New York Times en Español. As Growth Editor, she developed strategies for building audience. She was the Executive Editor of Animal Político and led the team behind NarcoData, which uses big data to explain and track the growth of drug cartels. 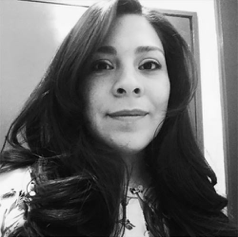 In 2015, she started the rst fact-checking project in Mexico. She was awarded the ICFJ- Newscorp Fellowship in 2014 and the Faces of Discrimination Journalism Award in 2013. She has a master’s degree in Journalism from the Autonomous University in Madrid. Founder and Director of Distintas Latitudes, a Latin America digital platform that covers a diverse range of topics, including politics, corruption, gender issues, migration, open data, entrepreneurship, LGTBI, and sustainability, with a team of 200 collaborators from 17 countries. He also coordinates la Red latinoamericana de jóvenes periodistas (the Latin American Network of Young Journalists), an initiative to identify, train and promote new journalistic talent in the region. He is also co-founder of Factual, which provides technical support to media and journalists; and Fáctico, a mobile technology laboratory. 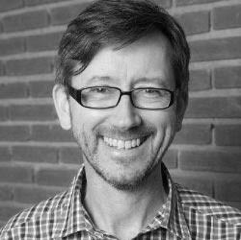 He is the author of a 2015 Study of Digital Media and Journalism in Latin America and Coordinator of Case Studies for SembraMedia. Since 2012, he has hosted the annual Latin American Forum of Digital Media and Journalism in Mexico. 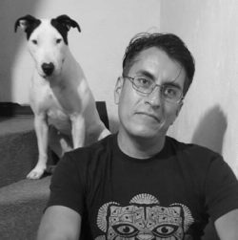 Founder and co-director of Lado B, a digital media site in Puebla, Mexico. Aroche is also SembraMedia’s Méxican ambassador and he has conducted extensive in- terviews with digital media entrepreneurs throughout the country. He now works at Animal Político. 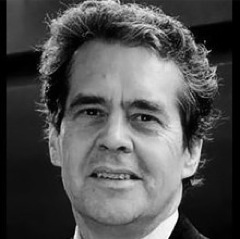 He has covered breaking news stories, conducted investiga- tions, and collaborated with other Mexican media, including, Revista Obras y MVS Noticias. Journalist, researcher, professor and the director of Interatores, a digital communications consulting firm. He is the former executive editor at Grupo RBS and Grupo Globo and former publisher of Artes e Ofícios Editora. He is a professor and the co- ordinator of the Masters in Digital Journalism program at IICS, one of the most respected communications training programs in Brazil. 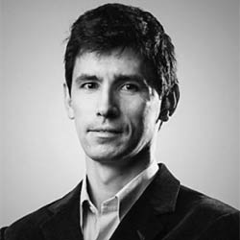 He developed a course in Portuguese called ‘Modelos de Negócios e Financiamento do Jornalismo Digital’ based on his research on digital media business models. Journalist and consultant who specializes in digital journalism. Mauricio is the founder and director of Impacto TIC and +Hangouts de Periodismo. He also serves as the SembraMedia ambassador for Colombia where he has identified and categorized more than 60 digital media projects for the SembraMedia directory. 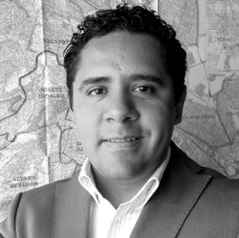 He has worked as an editor for the technology website, ENTER.CO, and as a technology reporter for El Tiempo. She has worked as a communication consultant, journalist and assistant producer in radio and television. Álvarez has been a guest lecturer at the Radio Workshop at the TEA School of Journalism in Buenos Aires. She has a degree in Digital Journalism from TEA and the University of San Andrés.